Curated by Sara Nightingale Gallery. New York's curator-driven art fair during NYC's Armory Arts week. 421 Eighth Ave, New York, NY. 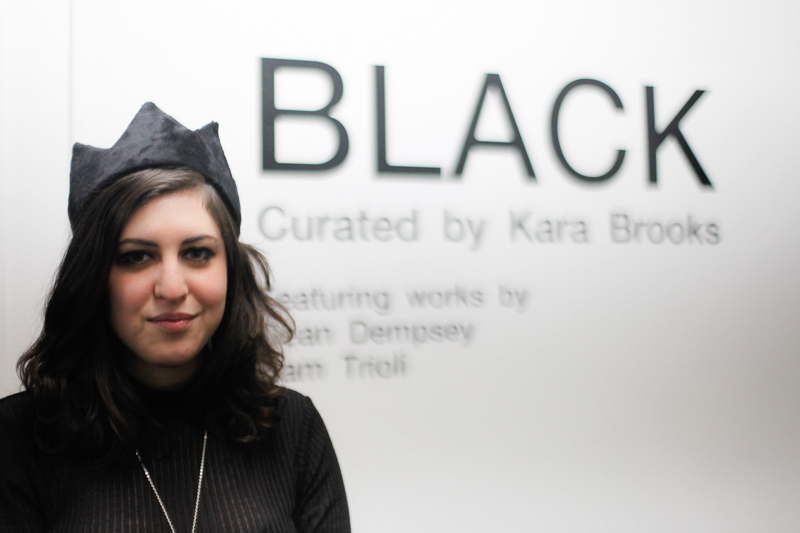 "Black" curated by Kara Brooks at Spring Break Art Show 2016. Clever interpretation of Spring Break Art Show's "Cut & Paste" theme - the bombardment today countless images on the internet, streaming and elsewhere. Brooks: RGB primary colors mix to create the color black, her artists create their vision. Featured artists: Sam Trioli and Dean Dempsey. Curated by Aaron Levi Garvey. Whimsy pleasure, an airy surprise! Featured artist: Alanna Vanacore. Artist Talwst Santiago: From the series: Minimalized Histories - Marginalized and Unrest, "Execution of Michael Brown", 2014.